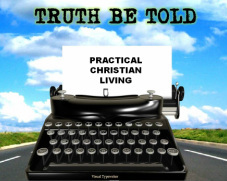 ArmyGirl4Christ and Minister Grok tackle today's tough issues from a Christian point of View! INSTRUCTIONS TO DOWNLOAD: Some of the links will download when clicked on the "Download" button, but most of them will require you to use your computer's mouse to right-click on the Download button and - depending on what browser you use - to select "Save Link As..." (Firefox or Chrome) or "Save Target As..." (Internet Explorer) or "Download Linked File As..." (Safari) and save the file to a folder on your computer where you will be able to locate it later. You will be able to then play it on your computer at your leisure or import it into iTunes. Tonight we talk about the Heresy known as Chrislam...the melding of Islam and Christianity. 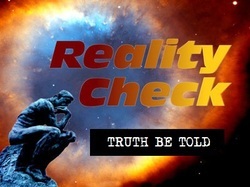 This heresy is being promoted by well known "preachers" such as Rick Warren. Tonight we discuss "Christianity" In America. 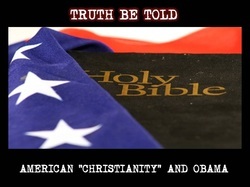 And is our President Obama really a Christian? Join us as we discuss this tonight! Tonight we are joined by friends Ninja Scroll and Jay (Ljc3000). We will be discussing critical world events which contain prophetic significance. What is going on with America? 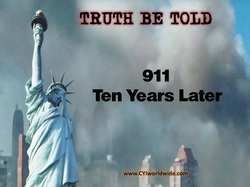 While the masses feast on Bread and circus the republic burns around us.Why are so Many Deceived? 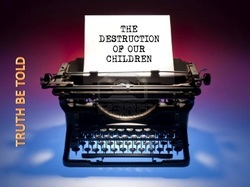 Today we talk about how the media and social planners are systematically destroying our children. Through media influence our Children are growing up with skewed morals and lack of social conscience. 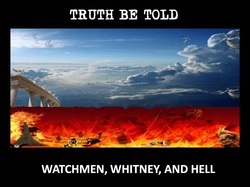 Tonight we discuss, False "Watchmen on the Wall" and their indulgent negativity. Death, and God's righteousness. And What the heck does Whitney Houston have to do with all of this? Tonight's topic is emotional health. We discuss identifying emotions, understanding anger and the fruits of the spirit. Tonight we discuss the many obstacles facing today's youth., and their reactions to our changing world. What do you add to our society and the body of Christ?! Tonight we discuss the syndrome of Adult Children. Our Family roles,labels and experiences leave a mark on our adult functioning. We discuss how it affects our relationships, workplace and social functioning. Tonight we talk about 911. On the 10th anniversary of that Tragic day, we host a panel of guests with thought provoking viewpoints on our country, the effect on our people, and the controversy surrounding the actual events. How do we, as Christians integrate and respond to the information? Tonight is a call out to the Christian community to wake up and join us in reality. We also discuss world events, and the imminent return of our Lord. Tonight is a wake up call for acknowledgement of God's mercy and many many blessings! What are the signs of the return of the Lord? Tonight we discuss the major signs given by Jesus in Matthew 24. Let's discern the season and use the knowledge to motivate us to win souls for the Kingdom! Tonight we have a roundtable type discussion about the state of our Country, and the world. With Food shortages,riots and crazy weather, we are living in troubled times! What is this leading up to, and what isn't the government and media telling you? Join ArmyGirl4Christ and Minister Grok as they discuss the basic beliefs of the Christian Faith! Tonight we address Prayer,Faith,God's word and the importance of Having fellowship. Tonight we discuss living the Christian Life. We address Baptism, the armor of God, Prayer, and having healthy Christian relationships and boundaries. Join ArmyGirl4Christ and Minister Grok as they tackle some of today's touch issues from a Christian point of view. 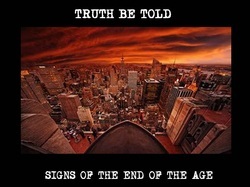 Tags: Russ Dizdar, Chrislam, Christian Living, What is Christianity, Jesus, Truth be Told,Music Industry exposes, Jay Z exposed, Adult children of Alcoholics, ACA, Al-Anon, Patriot Movement, 911 Truth, advertisement to children, Children and morals, occult, witchcraft dangers,advertisement, End Times, Signs of the End Times, church issues, watchmen,l should christians celebrate christmas?